To cushion against rising political and economic insecurity, the EU needs to invest more into its institutional relations with other regions, particularly Asia. Here is what needs to be done on the European, the inter-regional, and international level. Last but not least, the political antics of U.S. President Donald Trump, which make the United States unreliable as a partner in international affairs. Against this backdrop, it is crucial for the EU to create good framework conditions for relations with other partners and regions, such as Asia. I would like to make three suggestions on what the EU could do to foster relations with Asia while at the same time protecting its own legitimate interests. My suggestions refer to the EU level, the inter-regional level and the multilateral level. First of all, the EU needs to be clear on its internal strategy: it should for example focus on a common approach towards foreign investment in order to cope with the challenges posed by investment from China and other countries with strong state involvement in the economy. On the one hand, this means that the EU needs to channel more capitalinto those EU member states in need of investment in order to prevent politically motivated investment from third countries, which might come with strings attached. On the other hand, the EU needs to examine all existing instruments, such as competition law, subsidies or state aid, to see if they are still sufficient and stand up to current challenges. Also, new instruments should be considered and introduced if necessary. The newly established “EU framework for screening foreign direct investment” is a step into this direction. It enables the exchange of information and data on FDI among member states, which is becoming increasingly important. Yet, if we want to think big, we could even talk about an EU institution for investment screening. Currently, only 13 out of 28 member states have a national screening mechanism in place at all. Looking at the United States, there is the Committee on Foreign Investment in the U.S. (CFIUS), which monitors foreign M&A and turns a particularly close eye on acquisitions that might be state-aligned. There is no equivalent to the CFIUS in the European Union, but the “EU framework for screening foreign direct investment” could be considered as a first step in this direction, though at a very preliminary level. There are players within the EU and among member states who would be willing to at least discuss going further. So, it could happen that we will see something like a “Committee on Foreign Investment Screening in the EU”, a CFIEU, in the far future. Currently, the establishment of such an institution might still seem far-fetched. Yet the idea alone should be discussed openly and not be abandoned from the beginning. On the interregional level, we already have the EU’s connectivity strategy as a comprehensive initiative directed at Asia as a region. This strategy is supposed to be the European answer to China’s “Belt and Road Initiative“ (BRI). Chinese investment under BRI, however, is estimated to reach about 1 trillion US-dollar – and this is only the lower-bound estimate. For the EU, however, many BRI countries, especially in central Asia, are white spots on its trade and investment map. To be on equal footing with China, the EU needs to talk numbers and offer concrete and substantial investment to BRI countries, too. More generally, the EU’s pivot to Asia shows a strong pivot to China. Given the importance of China, of course, it makes sense for the EU heads of states and governments to discuss a new common China strategy in the weeks to come. But they should also keep in mind that there is more to Asia than China. The EU should therefore engage more actively with regional initiatives in Asia, such as the Association of Southeast Asian Nations (ASEAN), and offer itself as a reliable partner and an alternative not only to China but also to the United States. The EU should also push freetrade agreements between the two regions, including considering joining CPTPP and RCEP upon completion. In the interregional context, it is also worthwhile considering strengthening the role of the Asia-Europe Meeting (ASEM). The promotion of economic cooperation already is an important pillar in the ASEM process. So in the future, Asia and Europe could make greater use of this platform to further expand the framework for EU Asia trade and investment relations – an option which we discussed more in detail in a previous post. Thirdly, and this is despite the frustration surrounding China, Trump and Brexit, the EU should not give up on multilateralism. The global trade environment has changed quickly in the past two years with certainly promising regional trade deals on the rise, as mentioned above. This is good news for free traders in Europe and Asia. 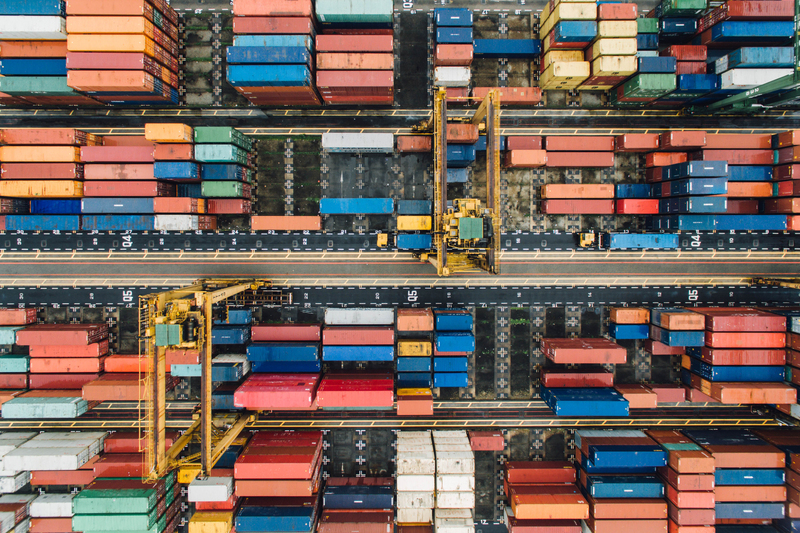 The bad news is, however, that the multilateral trade framework embodied in the World Trade Organization (WTO) is still stagnating and in dire need of reform. The EU and Asia have a common interest in maintaining the international rules-based system and neither can accomplish this without the other. The EU should therefore forge alliances with Asian countries to revitalize the WTO. This could also be a task for Japan as host country of the G20 summit later this year: Together with the EU, Japan could seize this opportunity and push WTO reforms alongside its preparations for this important international event. While regional agreements are good in general, they also are exclusive and might cause negative economic effect for third countries. Moreover, multilateral solutions give a voice to countries without large markets and economic power, too – that is, the majority of countries worldwide. From a long-term perspective, a multilateral rules-based order therefore remains the first best option for trade and investment not only between Europe and Asia, but worldwide. If you enjoyed reading our post on EU-Asia trade, also see our post on the EU-Japan trade deal.